It takes many pebbles to build a road to success, so why not help a newlywed couple build their own road through positive motivation, reassurance and kindness with this truly beautiful sentimental pebble from East Of India. 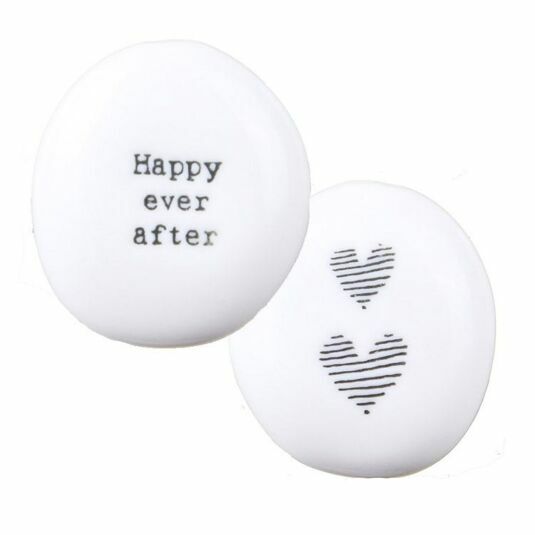 This sentimental pebble may only at first seem a small token of love to give, but to receive such beautiful words on a delicate stone will mean the world to a friend or family member getting married, to cherish and treasure for years to come. 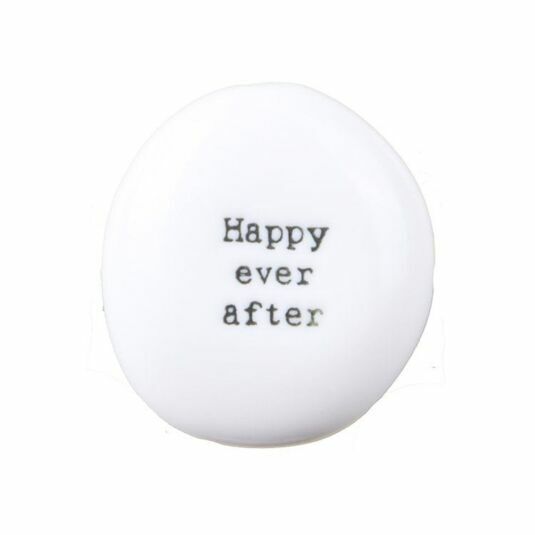 Fashioned into the polished shape of a beach pebble, this sentiment reads the words ‘Happy Ever After’ in a classic black font almost pressed into the stones front. 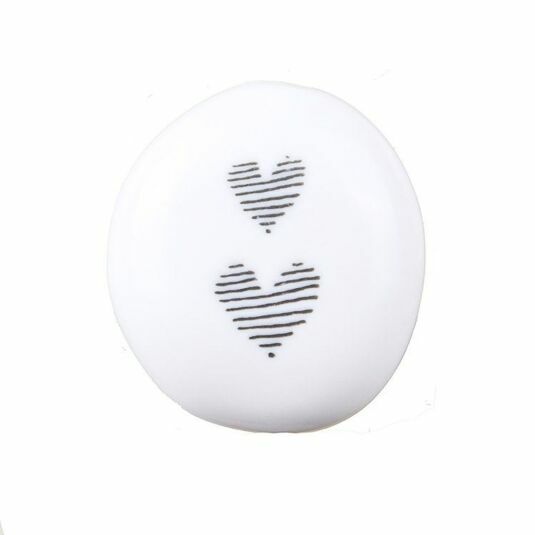 The rear of the pebble showcases two line-drawn hearts to symbolise the quote read on the front of the stone and the combining of two hearts, with the polished finish on the pebble making both text and drawing shine. 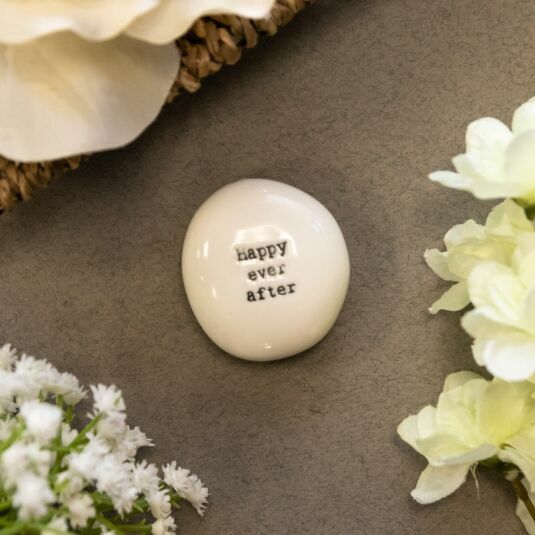 This East Of India ‘Happy Ever After’ Sentimental Pebble would make the most touching gift to give to a beloved best friend or a devoted family member to share your congratulations on their special day and send them the love, kindness and happiness for the future.